This morning, media representatives were invited to participate in a project update and site visit of the Cable Stayed Bridge deck with, among others, the Honorable Francois-Philippe Champagne, Minister of Infrastructure and Communities. At this occasion, Signature on the Saint-Lawrence (SSL) announced that the opening of the new Champlain Bridge to traffic will not take place on December 21st. That said, the work is progressing well and we are planning that the bridge structure will be completed by this date. With the onset of winter, some permanent finishing work, including waterproofing of the deck and paving, will need to be postponed until next spring. 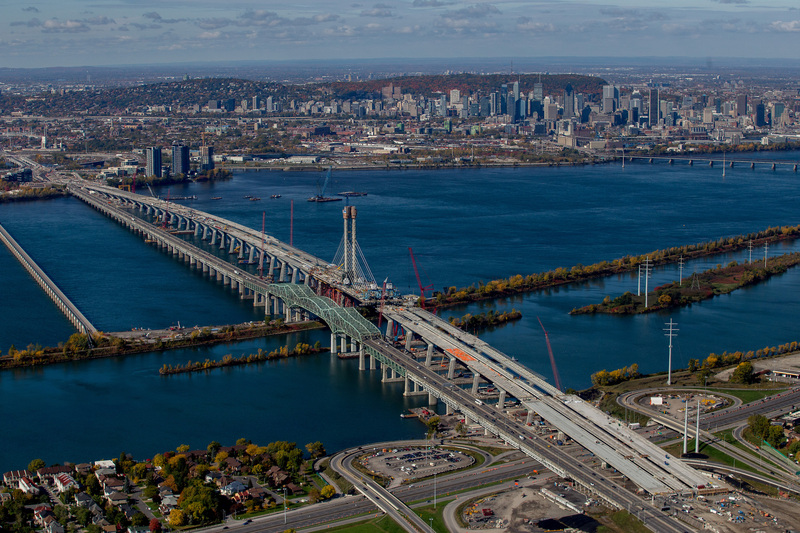 SSL is working with the Government of Canada to have the new Champlain Bridge open to traffic as soon as possible but not later than end June 2019. 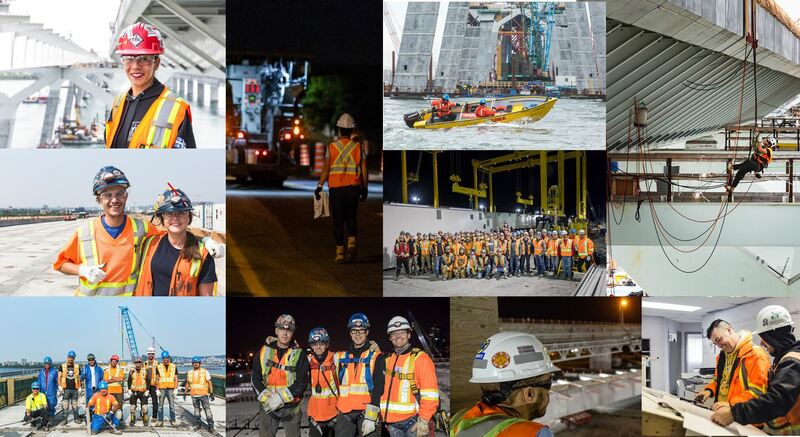 SSL is very proud of the work accomplished to date and congratulates all workers and engineers who face challenges on the site every day, in very difficult conditions at times, and remain committed to delivering a quality bridge without compromising on safety.